Why Are Co-Dominant Stems so Troubling? One of the most common problems arborists encounter while assessing trees is the presence of “twin trunks.??? Technically called co-dominant stems, these twin-trunked trees are often hazardous and require prompt attention. · Narrow branch angles are weak. Well-formed branches feature several layers of overlapping wood at their junction point. The trunk produces some of this wood, while the branch produces the rest; the result is a very strong point of attachment. But because co-dominant stems are not proper branches, they lack the overlapping layers, and therefore the strength of proper branch junctions. · Co-Dominant stems often feature included bark. Co-dominant stems grow and develop as they would if they were single leaders, meaning that they produce not only xylem (wood), but also phloem, cambium and – most importantly – bark. As the two stems grow wider, some of this bark becomes trapped inside the junction. The bark further compromises the integrity of the joint, increasing the chances of failure. · Co-Dominant stems lack branch protection zones. Branches have an area inside the wood near the branch-trunk junction called the bark protection zone. This zone is rich in protective chemicals that help to prevent pathogens from spreading to the trunk from the branch. Normally, when a branch suffers a problem, the branch protection zone works as a dam, keeping out the invaders until the branch can be jettisoned. Because co-dominant stems lack these zones, diseases can travel down the stem and infect the rest of the tree. Unfortunately, this also makes the removal of one stem problematic. · They often cause the tree to die following breakage. Few trees with co-dominant stems survive the (non-deliberate) loss of either stem. Because they lack branch protection zones, and the loss of a large stem typically causes a massive wound, such trees are inundated with pests, pathogens and fungi. · They inhibit the development of proper form. When co-dominant stems form, they both act like the tree’s central leader. This often prevents the tree from attaining a typical height, and because both stems are trying to produce a full canopy, the branches and foliage become overcrowded. In many cases, removal is the best course of action for trees with co-dominant stems, but some co-dominant trees are stable and healthy enough to leave as they are. In some cases, it is possible to provide additional support to co-dominant stems, which reduces the potential for danger. Additionally, very small trees, which do not represent a significant safety issue, rarely require removal or drastic pruning solutions. Co-dominant stems develop more commonly in some tree species than in others. Callery pears (Pyrus calleryana), for example, almost always have co-dominant stems, as do several different maple species (Acer spp.). Given these and other problems co-dominant steps represent, you should contact an ISA-certified and TCIA-accredited arborist to assess your tree as soon as possible. 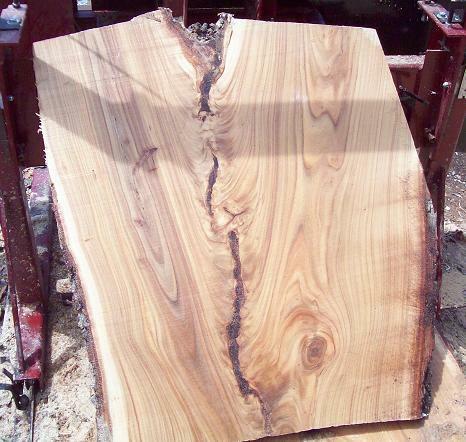 Only a tree care expert can assess the situation and recommend a prudent course of action. As luck would have it, we know exactly the right people to contact whenever you need professional tree care in Marin, San Francisco, Alameda or San Mateo Counties.